Are you longing for a camping experience a little out of the ordinary, endlessly entertaining, and always luxurious? Sometimes we all just need some time to unplug our devices and immerse ourselves in nature. This incredible Spartan Mansion is about to please your soul and bring you back to those roots. The Spartan Mansion is just one of the tranquil getaways available for rent at Green Acres Boutique Retreat in Eglin, Texas. Green Acres was created by a family of artists and entrepreneurs who "longed for a quiet place to slow down, unplug, and reconnect." After settling for a lush plot of land about 20 miles from Austin, they decided to share their oasis with others who wanted the same. 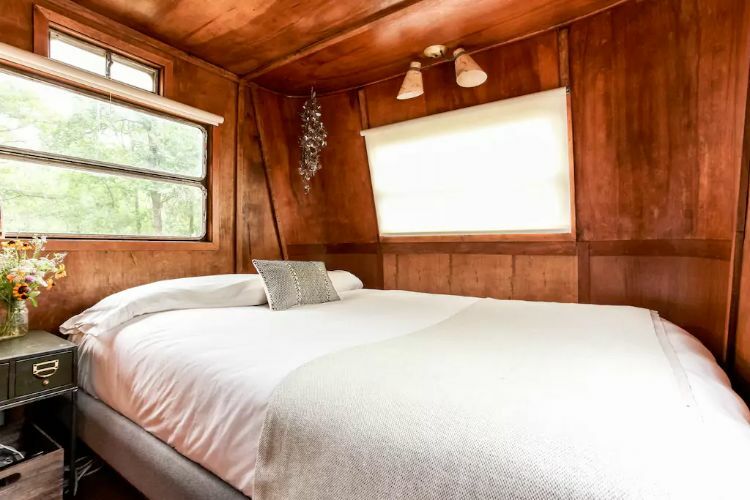 At Green Acres, you make yourself at home in one of their wonderfully renovated trailers, a classic barn, or an open-air kitchen while relaxing in a hammock or making friends with alpacas. 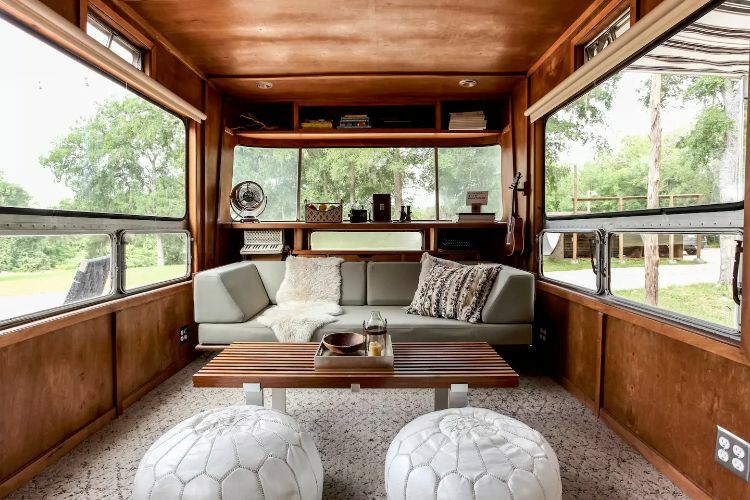 The interior of this Spartan reminds us less of camper trailers and more of classic modernist architecture. The emphasis is placed on the glass windows that allow the natural surroundings to penetrate the interior. 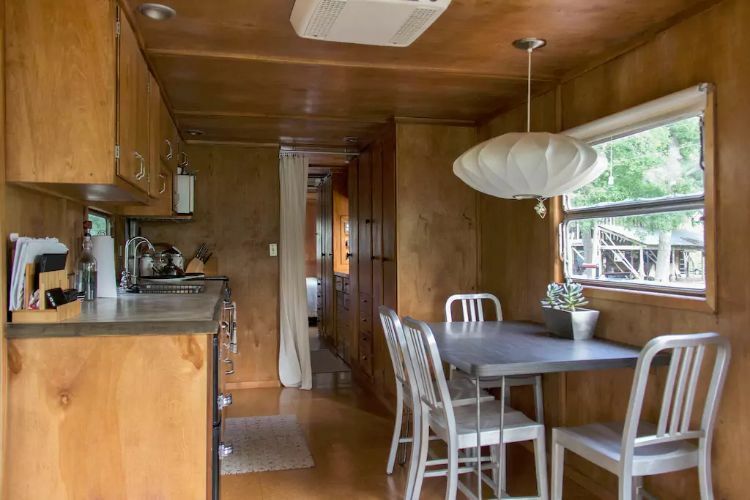 Many trailer renovations involve "whiting out" the original wood paneling and cabinets. That was not necessary here. Rather, the owners decided to keep the unique surfaces in order to highlight the craftsmanship of the time period. While many of the original features have been preserved, the kitchen has been updated with modern amenities. Although the Spartan's kitchen has everything you need, be sure to check out the open-air kitchen a few steps from your door. The Spartan trailer is known for its modern, open floor plan and its spacious living arrangements. 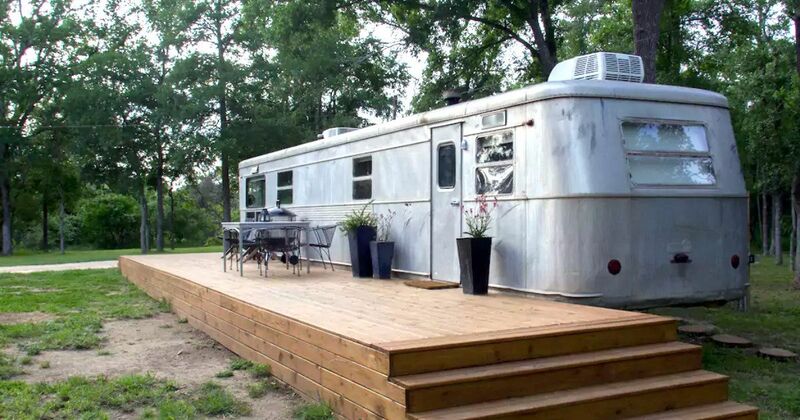 This trailer is massive and can sleep up to four people without a problem. Check out these adorable twin bunks. 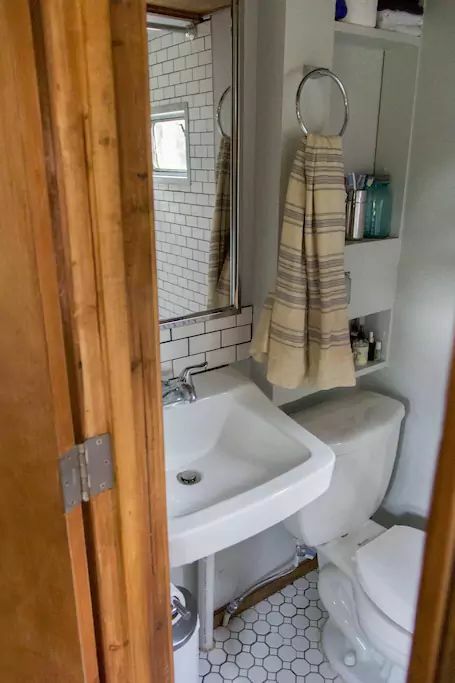 With new tiles, a new sink, and a new full-sized toilet, this compact bathroom is very comfortable. There is also an additional private bathroom located outside the trailer. 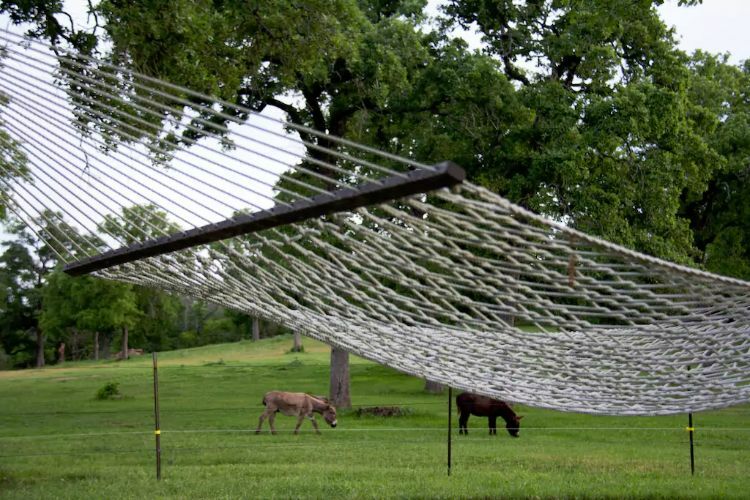 ...or make some new friends while winding down in the hammock. 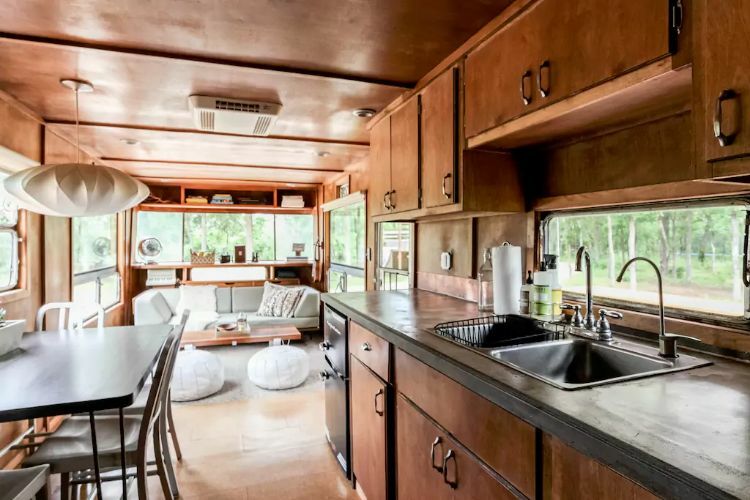 This little retro Shasta has been redesigned into a beautifully modern Palm Springs retreat. 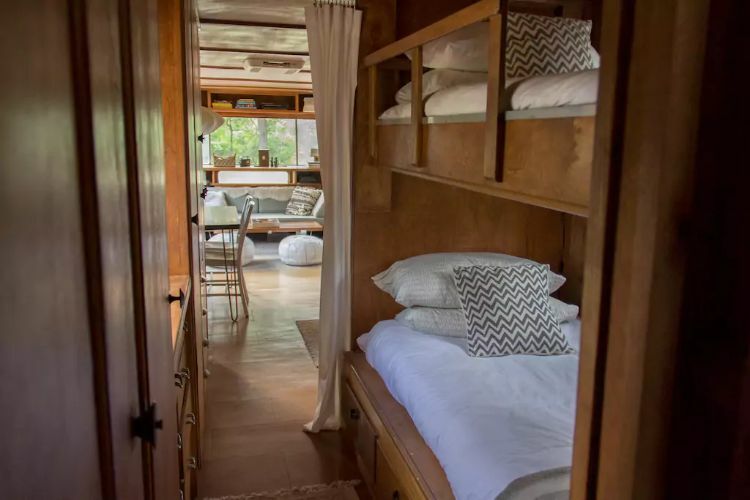 This Scotty trailer went from being plain and bland to beachy and chic. Experience the colorful side of the Appalachian Mountains when you camp out in this vibrantly painted trailer.